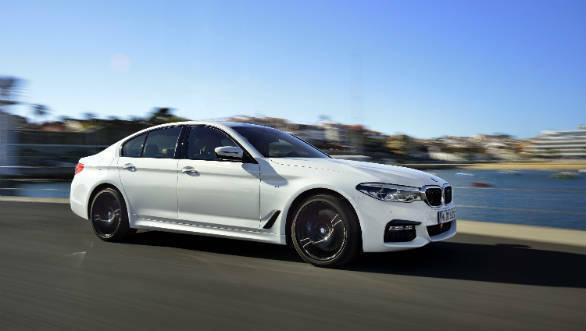 The BMW 530i M Sport has been launched in India at Rs 59.2 lakh ex-showroom. The 530i was only available in the SportLine trim before this. The M Sport package brings with it sporty additions to the car's exterior styling, a more focussed theme to the cabin and more features. The 530d already gets this package. The BMW 530i is assembled at the brand's Chennai plant and is BSVI compliant. 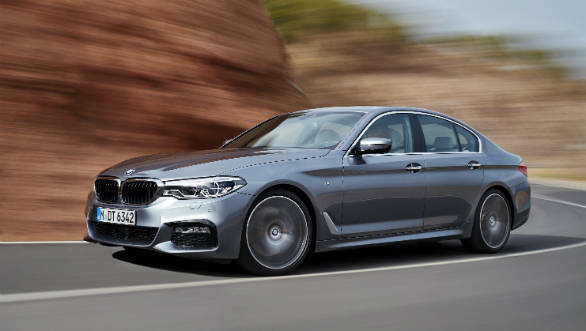 Changes to the outer appearance of the 5 Series include a more aggressive front bumper with a larger air-dam, a two-tone rear bumper with more prominent exhaust tips, side skirts, a new alloy wheel design with blue M brake callipers and subtle M badges all around. Step inside and new are the aluminium meshed design on the dash, sports seats in dark leather, six mood lighting options and a more extravagant roof liner. There is also an M leather steering wheel. The BMW Display Key, Remote Control Parking, Park Assistant Plus with 360-degree camera, Comfort Access System and wireless charging are all available features alongside the 10.25-inch BMW iDrive infotainment setup with a 600 watt Harman kardon system. Colour options are Alpine White, Black Sapphire, Mediterranean Blue and Bluestone Metallic. The BMW 530i M sport remains mechanically unchanged and come powered by a 2.0-litre four cylinder turbo petrol motor that makes 255PS at 5,200rpm and 350Nm at 1,450-4,800 rpm. The engine is mated to an eight-speed automatic transmission with launch control. This variant commands a Rs 5.4 lakh premium over the SportLine trim, which costs Rs 53.8 lakh ex-showroom.